Travel with ease from your Austin hotel to Austin-Bergstrom International Airport. 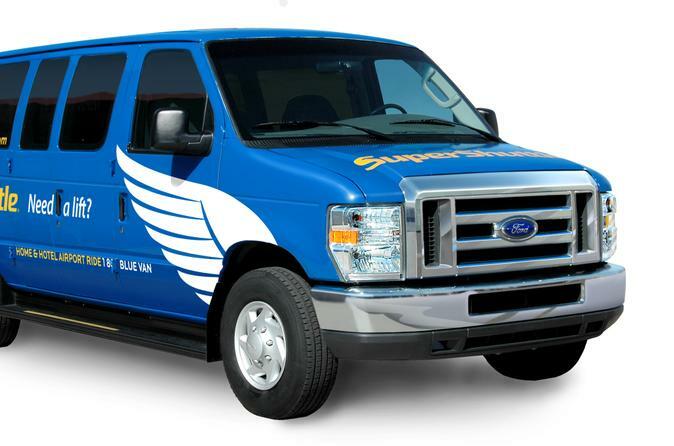 This shared airport transportation service operates from hotels in downtown Austin or other areas in Austin or Lakeway. Reach the airport relaxed and with plenty of time to catch your flight! Service is available 24 hours a day, seven days a week. When it's time for you to go to Austin-Bergstrom International Airport (AUS), you’ll be picked up at your Austin-area hotel and driven by comfortable shared vehicle to the airport. This airport transportation service operates from several locations in the Austin area. After booking, you must provide your hotel details and flight departure details upon reconfirmation with the local operator 24 hours prior to your transfer. On the day of, just present your travel voucher to the driver (includes your provider's contact information). It's that easy!